TB Joshua’s MH370 prophecy…. again! After the massive embarrassment of TB Joshua’s multiple incorrect MH370 prophecies, you would think SCOAN would keep quiet and try and forget the whole episode, but think again. After a swift cut in the edit room to remove the pesky “by the end of this week it will all be over, we won’t be talking about it anymore” part, they’ve repackaged the prophecy to claim this was fulfilled. Let’s revisit the multiple incorrect elements of his most disastrous prophecy ever. Here is a timeline of actual events alongside TB Joshua’s “predictions”, followed by an analysis of what he has actually contributed. 28th July, 2013 – TB Joshua predicts a plane carrying nearly 200 people will crash in “Asia” metres from the runway. It will be due to an obvious fault that could have been solved if the crew weren’t so impatient. 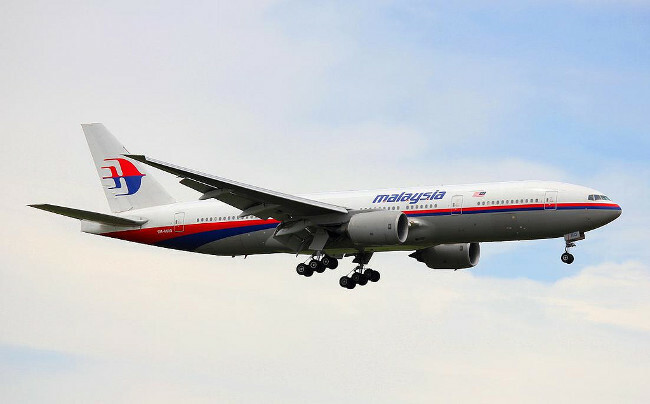 8th March, 2014 – Malaysian Airways flight MH370 disappears from the radar over the South China sea. Immediately an international rescue mission takes place, searching for a wreckage in the sea around the area contact was lost. 8th March, 2014 – TB Joshua releases an edited version of the 2013 prophecy, omitting the part where he claimed it would crash metres from the runway due to an obvious fault. 9th March, 2014 – TB Joshua Watch call for TB Joshua to reveal the location of the plane, since he claims so confidently that God had shown him this disaster happening 8 months ago. 9th March, 2014 – Approximately 8 hours after the TB Joshua Watch post, the TB Joshua Ministries official Facebook page reveal the location of the plane……. In the ocean! Particles will begin to appear on the surface any moment now, he claims. 14th March, 2014 – After several days of speculation that the plane may have flown on for hours, suggesting an element of foul play, the search switches to the Indian Ocean after unspecified “new information”. Although yet to be officially announced, the press are widely reporting that the flight had been hijacked. The day before TB Joshua implies an element of foul play, the media were reporting it. 15th March, 2014 – TB Joshua brags that he’s the only minister who’s been talking about this for the last year (even though what he mentioned a year ago was very different). He advises the rescuers to start searching between Indonesia and the Indian Ocean (the search moved to this area at least 24 hours prior to his “recommendation”). He says there are some strange people in the plane, who are not meant to be inside. There was a battle on the air, the plane turned back. The pilot confronted a situation he could not handle. The whole thing is coming to an end, they will discover the plane any moment from now. This coming week, we will not be talking about it again. Make things as ambiguous as possible. For example, the “strange people on board” and the pilot “confronting a situation he could not handle”. This seems like it implies highjacking, but also could be twisted (especially with a little editing) to fit the more likely hypothesis of pilot suicide. If he really knew what happened why not say “it was hijacked” or “it was pilot suicide”? Reveal details after they become public knowledge. He said it was in the ocean when it was only the ocean being searched, and since the ocean covers 70% of the earth’s surface, that doesn’t exactly help locate it. He suggested they search between Indonesia and the Indian Ocean a few days after the search had switched its focus to there. He implies foul play, after the press have widely reported it. If he had told them to search between Indonesia and the Indian Ocean while they were still focusing on the south China sea, that would have been impressive. If he had revealed that the plane had been deliberately diverted when they still thought it had suffered a catastrophic failure, that would have been impressive. In the video predicting the Philippines typhoon he said the country name began with IN and the flooding would happen very soon, maybe in the next week (it happened 17 months later). In the video predicting the Colorado shooting, he said he saw a military man killing lots of people at an army barracks (it was a student in a cinema). In the video predicting the 2011 Indonesia plane crash he said he saw a blue plane crashing on a Wednesday (it was a white plane and it crashed on a Saturday). In 2011 TB Joshua confidently proclaimed that within a few months, the Boko Haram crisis would be over. In the prophecy he’s linking to the Malaysian MH370 disappearance, he said it would crash metres from the runway due to a known fault. In a further video produced nearly 2 weeks ago he said it would be found any moment from now, and that within a week we’d no longer be talking about it. In May 2014 he said the Chibok girls would be released unharmed, immediately. In August 2014 he “cancelled” Ebola and said everyone could go back to how they used to live. The next month cases of Ebola soared. Why would any government listen to this joke of a prophet? This is a man with $15 million in the bank who leases a private jet, if he really knew where the missing jet was he would have flown out and proven it. Then his fame would be renown, he truly would be recognised globally as a “prophet of our time”. He didn’t do that for the same reason he didn’t make any attempt to heal and resurrect the victims of his building collapse. He makes a lot of noise about being a prophet and healer, but take him out of the controlled, sanitised environment of his carefully choreographed meetings and he can’t do a thing. The whole world has been watching the mysterious disappearance of Malaysian Airways flight MH370. Only one person seems to know what happened to it, everyones favourite false Prophet, TB Joshua. Here is a timeline of actual events alongside TB Joshua’s “predictions”, followed by an analysis of what he has actually contributed. The plane is in the sea. This is a safe bet to hedge because that seems the only likely hypothesis, but until the plane is found, that cannot be certain. The plane will be found any moment from now (that was first said 9 days ago, so time is ticking on that prediction). By the end of the week, the mystery will be solved (we will no longer be talking about it). We hope that TB Joshua’s followers will at least hold him to these points, but will also pay attention to the order in which his predictions have been revealed. This has been an event where someone with genuine knowledge could have been incredibly helpful and become very well known. What TB Joshua has said has added nothing. Finally, TB Joshua aside – please pray for the families who must be going through unimaginable pain, not knowing what has happened to their loved ones.